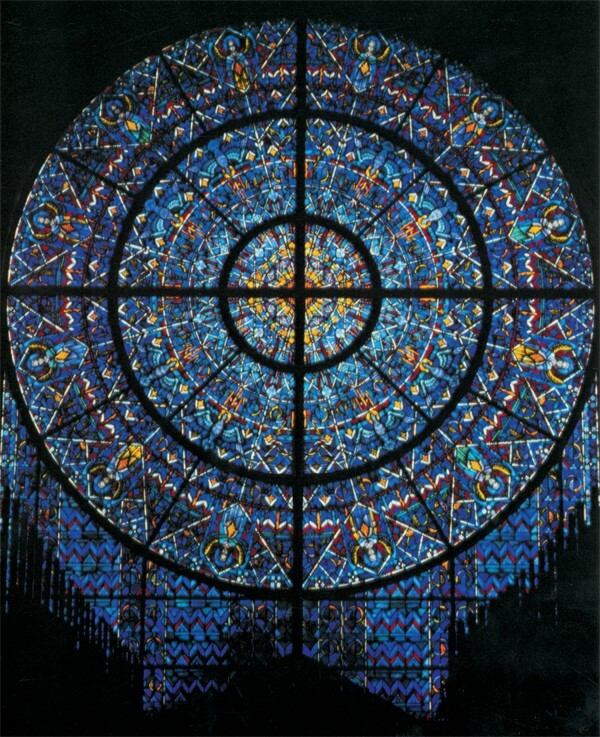 To create for St. Vincent de Paul Catholic Church in Chicago, Illinois, a 22-foot diameter window to replace the original stained glass, which was lost to fire. 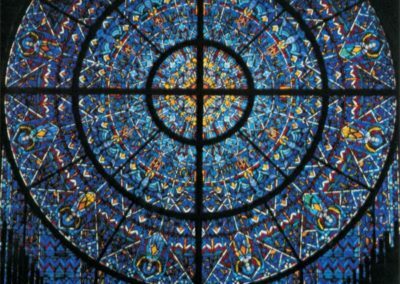 A rose window was designed with the theme ‘Sun of Splendor,’ symbolizing God and the blessings that radiate from him. Eight doves represent the beatitudes, while twelve angels holding stars symbolize the twelve divine praises. The Sun window is composed of thousands of small pieces of red, blue, gold and orange antique glass, leaded into a complex geometric design. The only painted areas are details of the angels’ faces and robes, and the wings of the doves.